Helping you prevent kidney stones when possible — and offering advanced, minimally invasive techniques to remove them when surgery is required. Every year more than 3 million people see a doctor for relief from kidney stones. That includes a high percentage of Southerners due to factors like diet, hydration habits, and warmer climate. 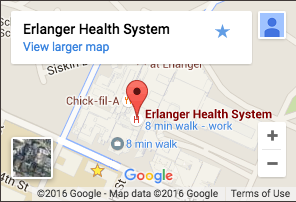 The Erlanger Kidney Stone Clinic aims to prevent stone episodes, but when they do occur – we offer advanced minimally invasive techniques to break up and remove them with very little downtime. Because 50% of kidney stone patients will likely experience another kidney stone episode in 5-10 years, our goal is to empower you with education and resources to prevent future occurrences. 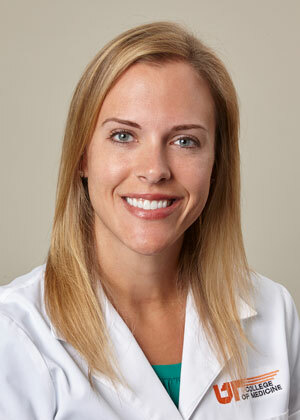 Dr. Jessica Lange specializes in metabolic stone disease, percutaneous renal surgery, and reconstructive urology. She is fellowship-trained in endourology which includes minimally-invasive surgery for kidney stone removal as well as medical therapy to prevent kidney stone recurrence.